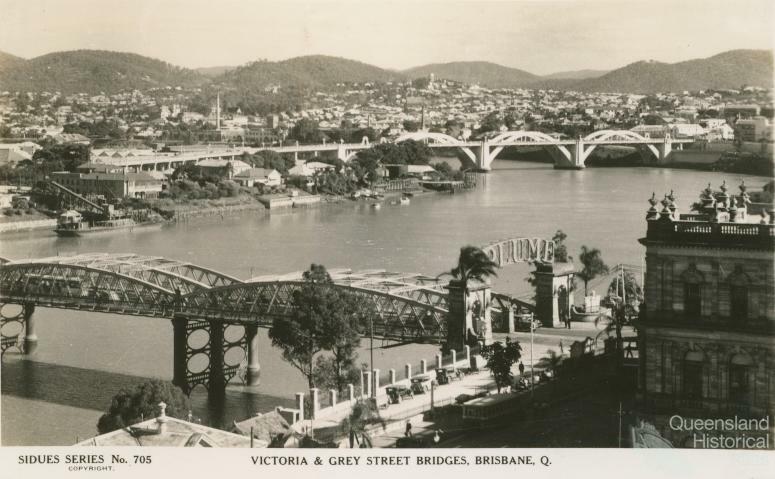 'A river city is held together by its bridges, collects them like sutures across a wound’ from Simon Cleary, The comfort of figs, St Lucia, UQP, 2008, p91. Victoria (replaced 1969) and Grey Street Bridges (now William Jolly), Brisbane, c1934. Postcard, Sidues Series, Collection of the Centre for the Government of Queensland.